Greetings, clashers! It’s Inaros (Frisk Dreemurr in the comments, and Frisk Dreeemurr#4961 on Discord), here with the first (or is it the second?) installment of my “Frisk’s Exotic Wonders” deck series! Today, I’m bringing you a Golem Beatdown deck featuring the newest addition to my card collection: Royal Ghost! I already know that some of you who have him and are looking for good decks with him are just ANXIOUS to read on. Let’s get this show on the road! The main win condition of this deck (what else would it be?). Once this bad boy gets to a tower, he’ll guaranteed deal huge damage. For optimal tower-taking results, build up support troops behind him…just make sure they survive any opposing defenders, though. You’ve seen Cannons as defensive buildings, mindlessly firing at incoming opponents, but have you ever seen…a Cannon ON WHEELS? Maybe not, but in the Clash universe, anything is possible. Cannon Cart will be your glass cannon with a shield here. What was that? Was it tonight’s minestrone soup, ready to punish my excretory system? No, it’s just the Royal Ghost, announcing his presence in the arena…phew! The Royal Ghost (A card that will SOON be nerfed) is a 3 elixir legendary card that is now unlockable in Hog Mountain, along with the Mega Knight. He’s extremely powerful, wielding a sword that somehow deals area damage (and to think…all the sword-wielding cards in the game deal point-damage…), turning invisible after every kill, and almost unstoppable if not pulled by a troop. This guy will be your close-quarters replacement for Executioner, even though he can’t target air. More explanation on how to effectively use him later. Flying Machine: Part of the newest batch of cards, Flying Machine is the Master Builder’s first gift to the Arena. It’s extremely squishy, meaning it can die to Fireball, even at Tournament standard. It makes up for being weak with decent damage output and insane range, deeming it the card with the third longest range in Clash Royale (the second being X-Bow, the first being Princess). Acting as a support card for Golem, it can snipe out Inferno Towers, Teslas, or any other glass cannon. 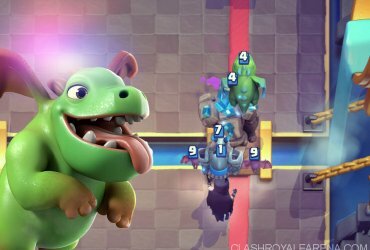 To maximize its usefulness, try to not let it get targeted (like Night Witch in a classic Golem Beatdown). This little frosty dude is ready to give anyone that crosses his path a nice, nippy hug. Easily my favorite Common card in the game, Ice Spirit offers insane value like no other card. He can freeze attackers just enough for your Hog to get the winning strike, he can freeze Mega Knight for a moment as your own Knight and tower go to work, he can be used as a cycle card…boy, isn’t Ice Spirit AMAZING? Likely a buffed version of Baby Dragon, the Inferno Dragon will serve as your primary tank killer. But of course, you knew that already. Just watch out for Zap and Electro Wizard. Resets the attack of Inferno Dragon(! 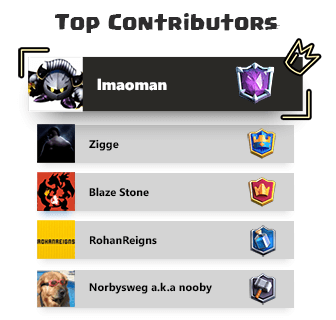 ), Inferno Tower, Battle Ram, Prince, Dark Prince, Sparky, and Mega Knight (of course, it serves that very purpose for almost every card in the game, just wanted to list the cards that are high priority). Covers the ground in a sticky toxin that damages all non-spell cards in radius, but somehow leaves the grass in pristine condition. Poison spell will be used primarily to deal with defending troops, or the unlucky swarm that happens to spawn in. Wouldn’t recommend using Poison on defense unless you absolutely MUST. Take this time to get to know your opponent’s deck and playstyle. Chances are, you’ll have it all down before the 2-minute mark hits, because you have powerful cards to support Golem that can’t be ignored. As in any game in the state of normal elixir, defend and counterpush. By now, you and your opponent know each other’s decks and playstyles, so try and go a bit more on the aggressive side when you attack. Time for things to get FRISKY! Be as aggressive as you can, dropping your Golem at the back and slowly building from there. You are almost guaranteed to get a crown with the supports you have on your side. To maximize the effectiveness of Royal Ghost’s area damage, try and find a way to get troops all grouped up. 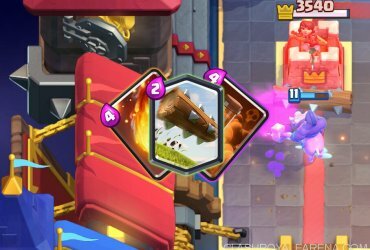 When playing Flying Machine as a support card, don’t drop it behind Golem. Instead, deploy this crazy contraption AWAY from the action, so it can safely snipe out any glass cannon or building. Given Flying Machine’s amazingly long range, you’ll find this tip mighty useful. 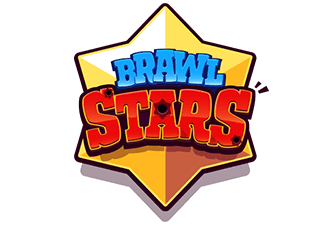 When planning to pull something within crown tower range, deploy your troop one tile away from the center of your half in the arena. You should have no problem with this. 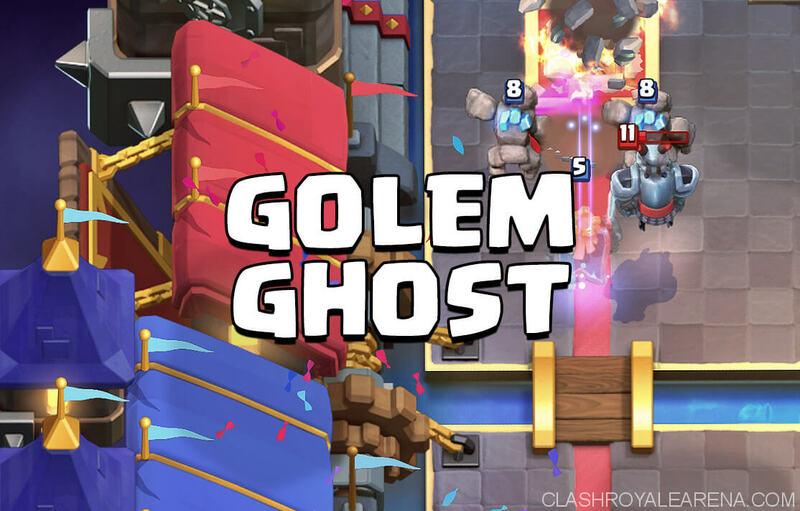 Inferno Dragon to melt Golem, Royal Ghost to take care of support, Cannon Cart acting as tank, Flying Machine can snipe from a safe distance…you know the deal. Same as Golem, except you’ll need to pull the big dude, first. GG EZ. Goblin Barrel could give you issues, though. Should be relatively easy, if you don’t get outcycled. You’ve got everything you need to take down the porcine prance, stay calm and focused. Just keep in mind that most Hog Decks have Inferno Tower. Dead, super easy to beat. I don’t know about YOU guys, but I’ve encountered some versions of Bridge Spam on ladder. It should be easy to beat. This deck is gonna cause you crap ton of trouble. 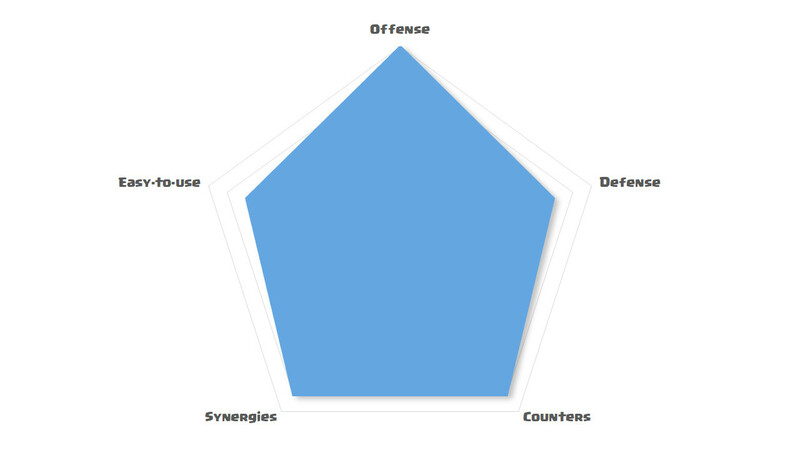 With double lane offense in their favor, you’ll need to constantly pressure them into defending instead of attacking. And since most 3M decks rely on swarms for defense, you’ll have no problem dropping poison. And since Musketeer dies to poison, you’ll have even less to worry about.